I’m so glad you are here. It means a lot to me that you are interested in my work as a health coach. Bravo! Wellness is my business, and I take it to heart, literally. My mantra is Feed Your Heart – Nourish Your Soul. Our beating hearts mean we are alive. But if our souls aren’t fed positive energy and guided by life-affirming choices, we often don’t feel alive. We need to eat healthy, whole foods to provide the nutrients our heart and other organs need to function. And we need to practice self-care and live an authentic life to “turn on” our minds and spirits to the richness of the world. By richness I don’t need money per se; I mean the abundance of greatness that can be attained by living your B.E.S.T. life. During my recovery from bulimia and subsequent personal growth journey, I’ve worked one-on-one with healers and coaches as well as in group settings. Each has worked for me at different times and that’s why I offer both as an option. Sometimes the private, more frequent calls and emails are really what you want and need, and other times an interactive, inspiring group is your ticket to wellness. Take a look below and read about the ways we can work together. And, feel free to contact me if you aren’t sure about which way is best for you or you have questions. I’m happy to speak with you and help you determine what is best for you. It takes time to develop the habits that will have you feeding your heart and nourishing your soul for a lifetime. Think about it, how long have you been engaging in the habits that are not serving your best self? Trust me, there’s no judgement here. (I’ve been there!) There is empathy, for sure. And support, guidance, inspiration and education to empower you to Life Your B.E.S.T. Life. During the four months of our work together, we’ll create your unique Life Fulfillment File. Instead of a BFF (who is really important, no doubt! ), you’ll have an LFF (it’s kind of like being your own best friend). The program begins with a clean eating program similar to the Set Yourself Free! Experience. From the start, you’ll be able to manage sugar cravings by avoiding foods such as gluten and dairy that can cause inflammation in the body and send signals to your brain to eat more carbs. Believe me, this isn’t about willpower, or lack thereof. And yes, you’ll eliminate sugar and artificial sweeteners (but still enjoy delicious, nutritious, sweet snacks). As we clean your gut (yes, it is really about trusting your gut!) and balance your blood sugar, we’ll focus on YOU – your self-care – how to make yourself your #1 priority (and still take care of everyone and everything else in your life with grace). Jodi, I really need your support and can’t wait to get started. You are going to understand YOU – your needs, your boundaries, your happy place. The Life Fulfillment File we create will be comprised of your go-to resources for your emotional and physical well-being. Because your journey doesn’t end when the coaching ends, you need a plan for going forward – to know what to do when you get triggered. It will all be in your LFF. And you’ll be living and enjoying your B.E.S.T. life. And that’s a beautiful thing! In addition to food, the Set Yourself Free! Experience will guide you through self-care exercises so you can connect your mind, body and spirit – stand in your own strength – and free yourself from the struggles of emotional eating. This is for you if you want the Set Yourself Free! Experience but want individual coaching from me. 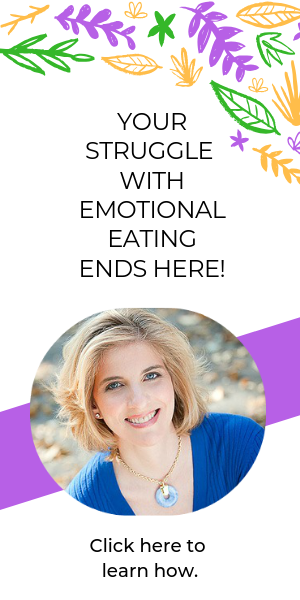 We follow the same program and we’ll also schedule weekly private calls so you can feel comfortable getting the support you need to end your struggle with emotional eating. Of course, you also have email access to me so you don’t have to wait for answers in-between scheduled calls. I’m here for you.